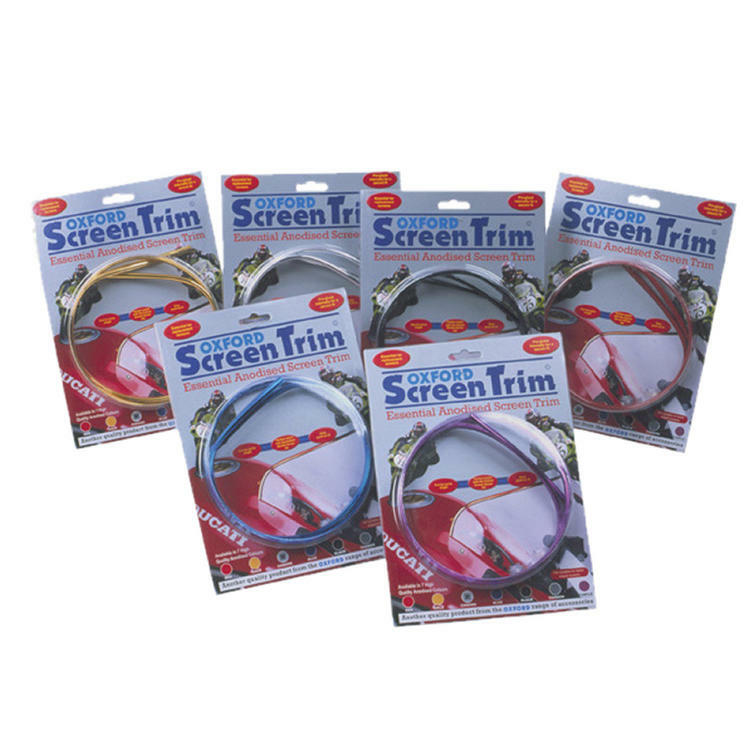 The Oxford Screen Trim comes in an anodised finish and is pre glued internally for a secure fit. Ghost Bikes stock a full range of essential motorcycle accessories and gear, please check out the other items in this category for our full range. 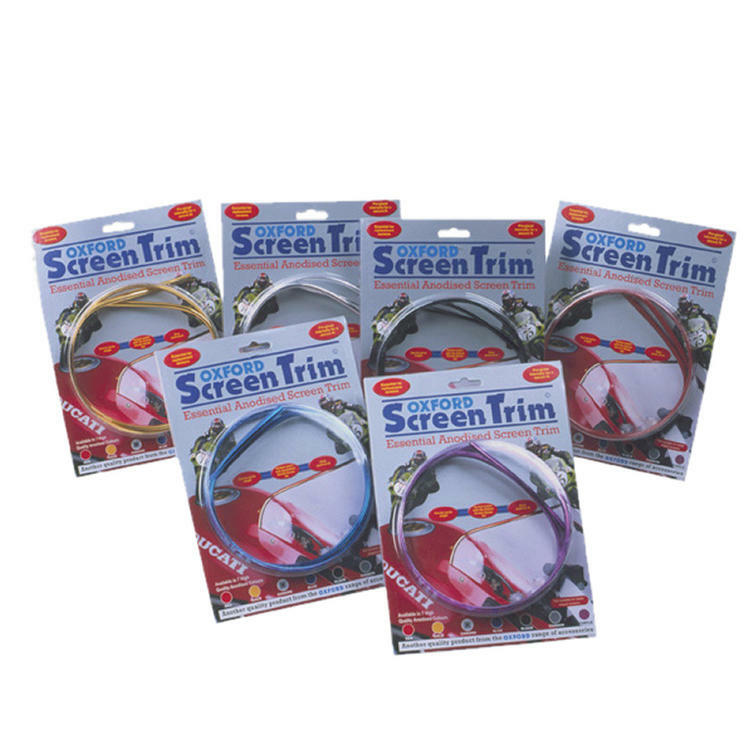 The Oxford Screen Trims are currently available in the colours shown in the product variation above, if there is no variation option, they will be available in the colours as shown in the pictures above.